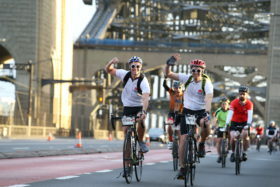 Over 10,000 cyclist took over the streets of Sydney on Sunday, October 15. 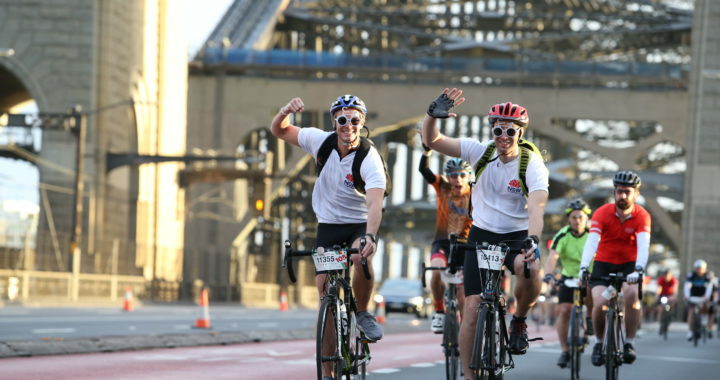 The riders came together to cycle over the Sydney Harbour Bridge, past the Opera House and through the City, in Sydney’s largest display of cycling advocacy. 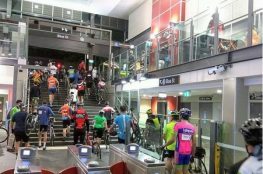 From Inner Sydney out to the West, riders rediscovered the joys of cycling in the Spring Financial Group Spring Cycle, supported by the NSW Government. 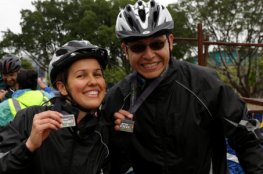 Bike riders from Sydney, NSW, and even overseas culminated in one location for one purpose. Spring Cycle is the only day of the year, where all bike riders can stand up and be counted, to come together as a community, to ultimately change and improve bike riding accessibility in NSW.The 2017 Spring Financial Group Spring Cycle was one for the history books with the appearance of some of Australia’s A-list athletes. 8 time BMX and Mountain Bike World Champion, Caroline Buchanan, opened the 105km Challenge with Spring Financial Group’s Managing Director, Keith Cullen. Australian cycling hero and 12 times Tour de France rider, Robbie McEwen along with SBS cycling commentator, Mike Tomalaris, led out the 105km Challenge Ride to start the 2017 Spring Cycle. Experiencing a ride on a penny fathering, Minister for North Shore, Felicity Wilson, happily opened the 50km Classic Ride. While inspirational speaker, writer and triathlete, Turia Pitt opened the 10km Sydney City Ride. Everyone from the once-a-year rider to the daily commuter and even centurions came out in force to enjoy a scenic and safe ride. Thanks to the advocacy work of Bicycle NSW, the many voices of Spring Cycle participants were on show. “It is days like the Spring Cycle that really showcase the important work we do to create a better environment for cycling. 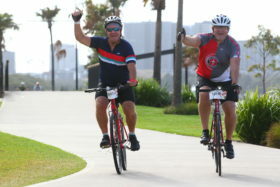 Joining us on one of our four rides – our Spring Cycle riders stood up and were counted, helping us secure a better future for bike riding”, remarked Craig Meagher, Bicycle NSW CEO. Bicycle NSW new bike share partner, ofo, took on Sydney Harbour Bridge with 100 riders on their brand new bikes. “Following the successful launch of our pilot scheme in Adelaide earlier this month, ofo was extremely proud to be the exclusive bike share event sponsor of one of Australia’s favourite cycling events - Spring Cycle. As the international market leader in bike-sharing, we want to lead the market in launching in Australia ‘the right way’, and so it was great to be part of Spring Cycle, getting to know Sydney and showing Sydney not only what ofo can do, but how we have designed our bikes and service with Sydneysiders in mind. We’re committed to working with local stakeholders to provide the best possible bike-sharing service for each city, so keep your eyes peeled for a bright yellow ofo bike near you soon.” Says Scott Walker, Head of Strategy, ofo Australia. We would also like to thank Waterview in Bicentennial Park who kicked off the entire weekend by hosting the inaugural Bicycle NSW Fundraising Dinner on Friday, October 13. We had over one hundred guests who were there to support and celebrate all the advocacy work Bicycle NSW does. “We had some fantastic items up for auction including the Chris Froome’s signed yellow jersey from the Tour de France. It was a great evening to get all of our sponsors and supporting in the same room to showcase all the work Bicycle NSW does, and can do.” Commented Craig Meagher.